Of all the pests, fleas are the most notorious ones, reason being, they inflict painful bites, transmit disease, and infest pests. Therefore, it’s adamant to be knowledgeable on how to deal with them, before they cause much havoc. Understandably, there are three different fleas’ species: cat fleas, dog fleas, and human fleas. These habit different hosts and are still dangerous to human living. How then do you identify fleas? They have certain characteristics that help to distinguish them from other similar pests. Fleas are laterally flattened measuring 1.5mm, but this could vary depending on different species. They are brownish in colour and possess a short -3 segmented antennae. And the strongest part is that their mouthparts are adapted to sucking; these make them dangerous when they infect humans, dogs, and cats, among other species. Different Methods Of Fleas Pests Control. There are multivariate methods of controlling flea’s population. And the best way is to exterminate them; though that’s not an easy thing to do. And as these fleas have different life cycles, you will need to use different methods in Flea Treatment For House. Non-Chemical Treatment Of Fleas Pest Control. If you don’t want to use chemicals, of course, fear of secondary poisoning or jeopardising your family health, there‘re different non-chemical Flea Treatment For House that you could use. First, you will need to sanitise your home, and clean all parts; this will destroy the flea life cycle, habitat, and make them leave. As per their habitat, fleas can live in any, provided that it will provide the much-needed warmth. There is a vital condition as part of flea lifecycles entail laying eggs on host – warm-blooded animals and, more so, in their habitat. Pets are the number one flea’s habitat since they have the favourable conditions that will favour their growth. Therefore the first thing to do is to treat your pets using a suitable chemical flea’s pest control product. After treating the pests, you should proceed to treat their habitats. This will reduce the chances of these pests re-infesting the fleas. However, this is a big undertaking and you will need to worry about the type of product you will use. Remember that a wrong product could lead to secondary poisoning as your pets could come in contact with your kids and other family members. 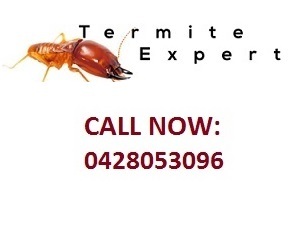 To get a good product, you should laisse with your Pest Control Operator on which best product to use. Flea Pest Control – Treating Your Home. Treating pests alone is not sufficient, as they may get reinfested by fleas from other areas. Therefore, treating your home will limit the chances of secondary infestation. And the good news is that there is abundant flea’s pest control product that you could use to treat your home in Australia. And these products are tested and are safe for use. However, if you are having trouble reaching out to your local pest control officer, and want to buy some of the chemical Flea Treatment For House products that are sold online, you could select a product with the lowest degree of toxify. This is well indicated in the product descriptions, of course, follow the latter prescription appropriately. After you have landed on the correct product, make sure to apply surface sprays which are efficient in getting rid of pests that have infested your floor, rugs, and wall joints among other surface regions. And while doing the surface sprays, you need to take utmost care to ensure you don’t spray other products that you could use in future. Besides surface spraying, you could go for space spraying. This is the efficient method as it will smoke out fleas that hide in inaccessible areas. You could choose to do it yourself, of course, it’s easy, and afterwards, make sure that the rooms are properly ventilated before one enters it. Lastly make sure you dust your carpet, rugs, and other products, especially those used by your pet. Dusting is effective and can be used alongside other flea pests control method. The best part is that it efficient in getting rid of fleas that are hidden and resistant to spraying. Fleas Control Methods – How To Prevent Secondary Infections. First, when you used a spot on treatment on your pets, chairs, and other products, avoid touching them till the chemical becomes inactive. Likewise, make sure that the treated area is well ventilated before one enters the room. This will help to avoid the breathing of the flea’s pest control pesticides. And if you are able to eliminate fleas using the on chemical treatments, it could be great if you will avoid using the chemical products –mostly aerosols, sprays, and forgers. In conclusion, fleas are dangerous and disturbance to human living. Therefore, it will be a good thing to keep them away from your home, garden, and pests. But the good news is that there are different Flea Treatment For House products that you could use to do so.